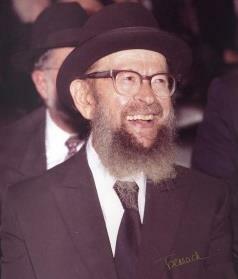 Rabbi Avigdor Miller (August 28, 1908 – April 20, 2001) was a rav author and lecturer in the United States. He served simultaneously as a communal rabbi, as the mashgiach ruchani of Yeshiva Rabbi Chaim Berlin and as a Rav in Beis Yaakov for many years. In 1932, at the age of 24, Rabbi Miller arrived in Europe to study at the Slabodka yeshiva in Lithuania. There, he studied under Rabbi Sher. While he was in yeshiva, Rabbi Shulman of Slabodka, son-in-law of Sher, introduced Rabbi Miller to Ettel Lessin, daughter of Rabbi Yaakov Moshe Lessin of Slabodka. The two married in 1935. In all the prefaces for all his books and on many of his tapes, he says that everything that is un-sourced should be considered the teachings of Rabbi Isaac Sher, who was his primary rebbe. These shiurim are posted with permission of Simchas Hachaim Publishing (SimchasHachaim.com), official publishers of Rabbi Miller's books and lectures. There's something inspiring by Rabbi Miller every day at LivingWithHashem.com.